I've been a fan of NBA for many years but I followed the league most closely in the 90s. Times were different then and keeping up to date with current scores and tables was a lot of work. Access to the Internet was very limited and the speed of connection was really slow. Some random matches were re transmitted on public TV and I was able to check the scores by using teletext and reading "Magic Basketball", a magazine that appeared on a monthly basis. It all had a kind off magic feel to me then and even though I'm still keen on the NBA, I now maintain more distance to it and don't have the emotional connection I used to feel. Michael Jordan was clearly the most prominent figure of that period. To me he was the god of basketball (even though I rooted, and still continue to do so, for Orlando Magic) and watching his actions on the court was always an amazing experience. Now, many years later, I got a chance to read MJ's biography written by Roland Lazenby. 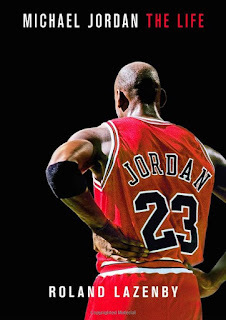 My perception of Jordan hasn't changed after finishing it, but now I see him as a much more complex person who had to overcome many challenges (many of them self imposed) on his way to greatness. The book begins with a very detailed description of Jordan's family background. It offered many interesting insights into his social background of that perios. However, it didn't really do much to present MJ himself and I found myself slogging through that part. Once the story started dealing with his NBA career, I found it hard to stop. Learning about his difficult relations with teammates and opponents, his (sometimes unhealthy) ambition to be the best gave me a new, different perspective on many events. I was quite shocked when I learned how effective Jordan was at getting under people's skin. He had a natural talent for finding weak spots in opponent's psyche and exploring these. The author claims that Jordan's harsh words contributed to Muggsy Bogues's end of career as his confidence deteriorated along with skills after one harsh encounter with MJ. The same thing seems to have happened between his Airness and a very promising rookie in Washington Wizards – Kwame Brown. It is suggested in the book that Jordan destroyed him with his highly competitive approach to training and offered him only negative feedback. Gambling, use of alcohol, smoking cigars after matches and bullying other people were some of the most common aspects of Jordan's everyday life that I knew nothing about. Yet despite these, Lazenby clearly admires MJ's relentless competitive spirit and his ambitious drive to be the best player in the history of the NBA. 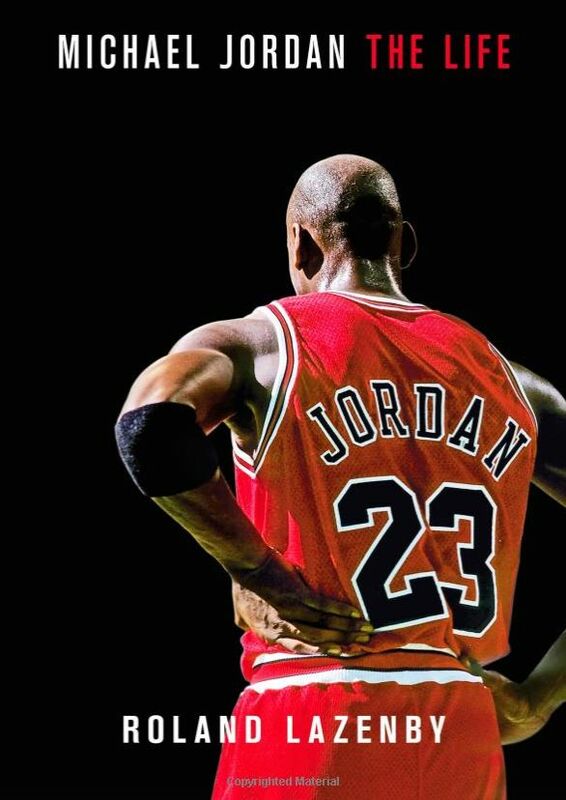 It affected his personal life on many levels and even today Jordan has both admirers and haters. However, to my mind, he still remains the best basketball player in history.